FREE AND OPEN TO THE PUBLIC. RSVP IN ADVANCE IS REQUIRED. Produced by China National Television & Broadcast Bureau in 2013 and released domestically in 2014 China only, A Village Doctor's Choice is a true story-inspired movie. 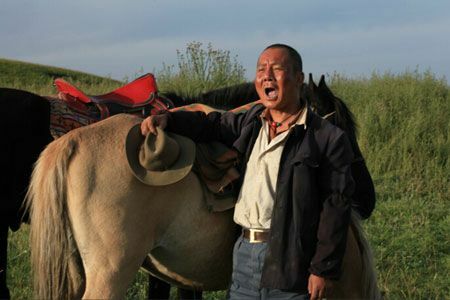 It portrayed the challenges that faced a Shanghai Medical College student when he was sent to the wild and savage Tibetan prairie to work as their one and only doctor "manba" in the late 60's. When his grown up son eventually wanted to follow his father's footsteps, he was once again confronted with the question whether or not he has made the right choice for himself; and if his son should succeed him as the next "manba". The film won the Best Picture award at the 2014 Beijing International Film Festival.